Over 50 million businesses have a Facebook business page, and 2 million businesses leverage Facebook ads to drive sales. With all of that noise, how do you compete? Let our social media team manage every aspect of your social presence to drive the business results you want. Thank you! We will be in touch soon to connect on elevating your social media presence. When we started working with Walpole Outdoors, the Facebook page had just under 500 fans and little social engagement. 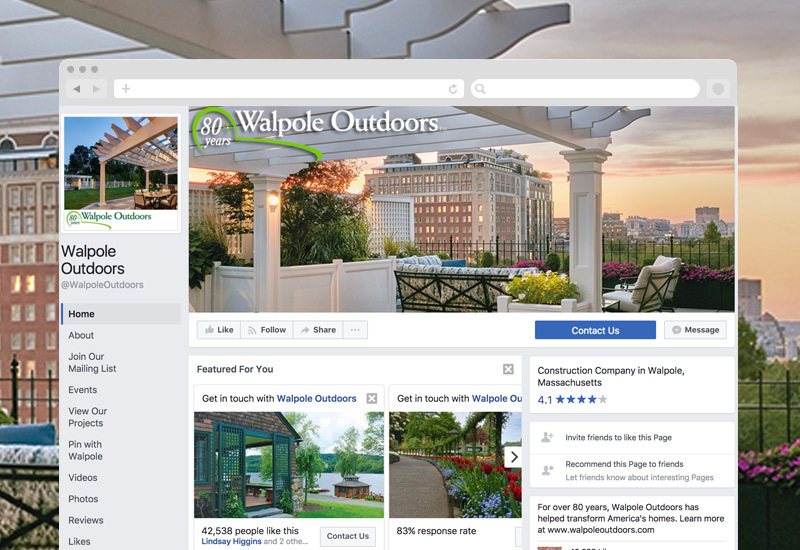 With over 40,000 fans and growing, Walpole Outdoors now has the lead-generating social media machine it needed. To establish trust, Right Key Mortgage needed social proof, and we were glad to deliver. With over 300 fans and 15 5-star reviews, Right Key Mortgage now has the social media base it needs to drive home buyer leads. 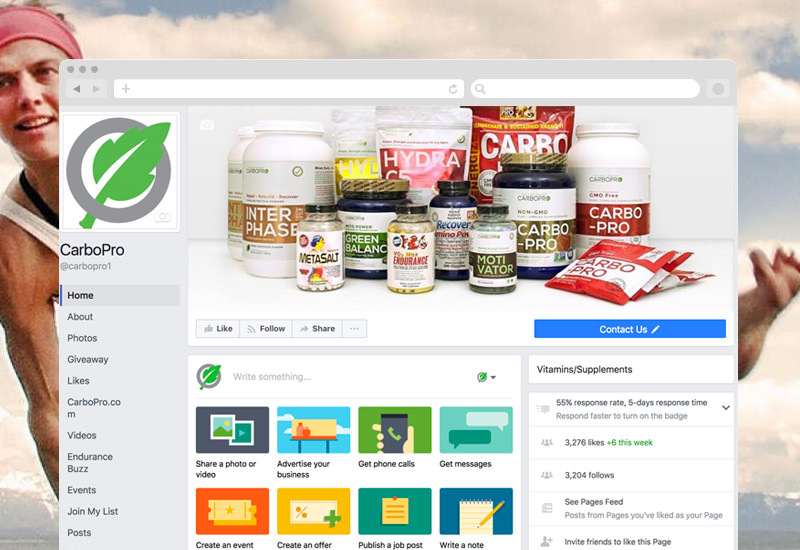 CarboPro is a leader in nutritional supplements for endurance athletes and needed a steady flow of quality content to inform and engage its customer base. Digital Insights Delivered to Your Inbox, Free! © 2019 BJC Branding, LLC. All rights reserved.